This is a 1975 ad for a Buck Knives! The size of the ad is approximately 5x5inches. 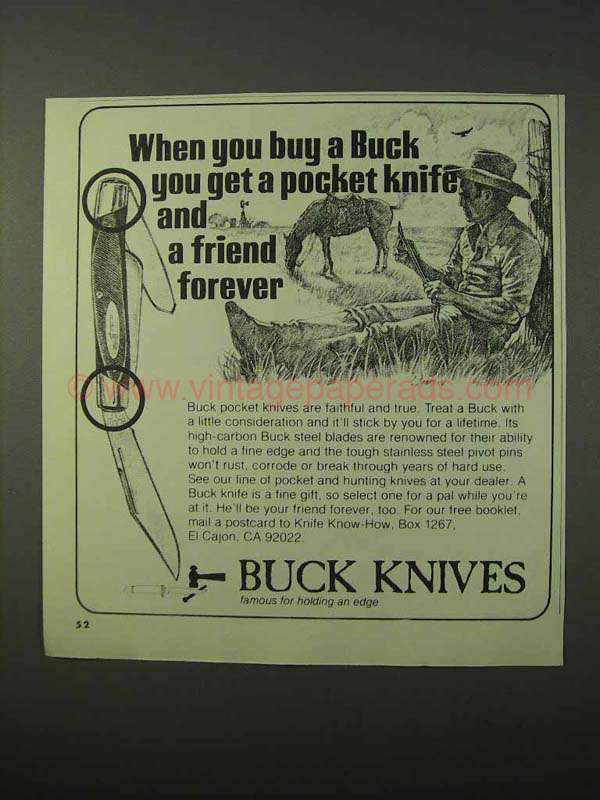 The caption for this ad is 'When you buy a Buck you get a pocket knife and a friend forever' The ad is in great condition. This vintage ad would look great framed and displayed! Add it to your collecction today! 1988 Buck Knives Guildmaster Knives Ad - Buck The tradition lives on!